Welcome to North Shore Tavern. 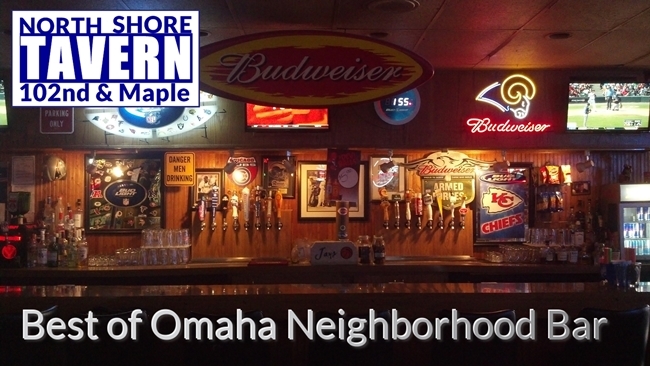 We are a Neighborhood Tavern located in Omaha, Nebraska. Whether its your first time here or you are a regular visitor, we are your neighborhood bar. Come watch your favorite sporting event, host your party, or kick back and relax. Here at North Shore Tavern we believe in one thing...having a great time! We have a fully stocked bar, 16 beers on tap, and an all-star staff serving your favorite drinks. At North Shore Tavern, we are all about our Nebraska teams! Join us for all the Husker games. Watch every Creighton game... we are! You're going to love us at North Shore Tavern!